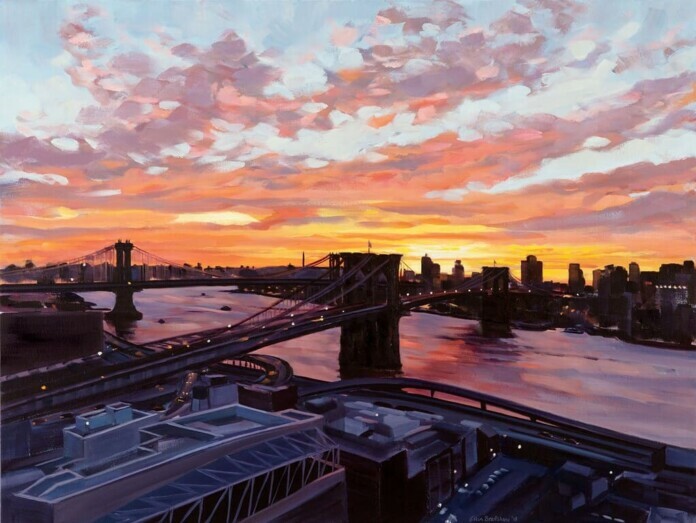 Come check out one of NYC Insider Guide’s FAVORITE artists at her newest exhibit, Sunrise from the Artist’s Balcony. Ellen paints the most stunning images of NYC – the Highline, Rooftop Skylines and more. Now, she’s given us an up close and personal view from her 25th floor window, with spectacular views. If you’ve ever wanted a REAL NYC local experience, check out the Artist’s Reception on April 27th or visit the gallery anytime April 16-May 11, 2019.